Are you looking for to drink the best coffee in Milan Italy? You want to slurp the best espresso and taste cremino while you are there? Fortunately, you don’t have look more. We have prepared you a list for 9 best place for coffee in Milan! Those crowded streets, chaotic traffic might get you down in Milan. But look into the bright side because people know how to make the best coffee out here. Have an espresso in a bar and let all your stress go away. After a meal or in between your shopping and maybe during your sightseeing , the coffee can be your best company. Ice or hot – it will serve you well. Milan is big and a confusing city sometimes but when you start smelling the roast of coffee beans in the air, just follow the way. Milan trusts only the perfect barista, high quality beans and good roasting. These are the keys to a best shot of an espresso. Pavé is pastry and coffee shop in Lazzaretto area. You can have a savory or a sweet breakfast here with an espresso. They also offer their grounded coffee in packages so you can grab one if you like it. It’s not a take-and-go type Italian coffee shop. In fact you can relax in your chair and enjoy the moment. Try their croissants – savory and sweet – and if you come early you can even see them making yummy pastries behind the counter. Botega Caffe is right next to Teatro Fossati and couple minutes to Castello Sforzesco. It has a very cozy atmosphere. White tiles and glass counters look very chic at the same time. Here you can get a very good coffee for a reasonable price with a great service. Along with your coffee, choose a sweet company from the display. They offer many kinds of tarts, mini cakes, brioche and even fresh fruit salads. Next to Milan’s beloved Duomo and architectural beauty Galleria Vittorio Emanuele II inside Zucca in Galleria: Miani is right in the gallery and the perfect spot to give a break – whether for the shopping in gallery or visiting Duomo. Rather than sitting down, it is much better to drink your coffee at the bar counter and a have a little chat with barista as well. Also it will save you some money as in Italy there is always a sitting charge in big cities. Marchesi is open since 1824 and it’s one of the oldest and best pastry shop in Milan. If you have the good pastry , you need to have the best coffee, right? Service is impeccable here along with the time-travel-like atmosphere. The serving cups and plates carry the symbol of the shop – a big fancy crown. You will feel like a royal while sipping your coffee here. You can also try their candies – their own production and their traditional cakes like mini panettone or zabaione. Orsonero is a specialty coffee shop which is opened by an enthusiastic couple in Citta Studi area and only 5 minutes away from main train station Milano Centrale. The name of the place actually means black bear – also can be seen in their logo. The place is very small but hip. You get a nice vibe at the moment you enter in. Definitely hit in the morning to try their cappuccino. The texture, the foam and the right temperature is great. They also offer cortado, pour over or americano. 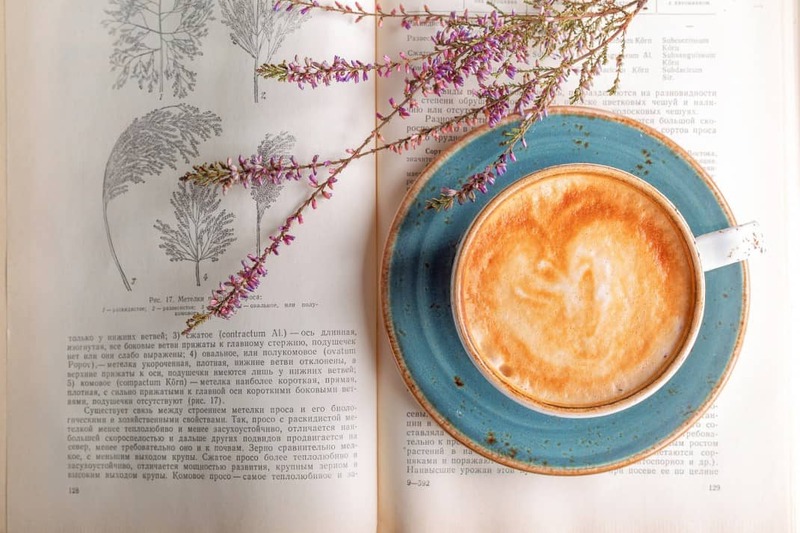 Are you a coffee lover who also happened to be a bookworm? If your answer is yes, you have found the best place for yourself in Milan. Gogol & Company is a coffee shop and also a bookshop where you can drink your coffee and also take a book from the shelf to read. The walls are covered with books. They also offer breakfast items along with coffee. Service is very friendly as well and that’s always a plus. Cova is another old and stylish pastry and coffee shop of Milan. It is located in the very busy and famous shopping street Monte Napoleone. It was a old time favorite – even Ernest Hemingway’s- back in 1900’s and still is. Here you will have a fancier atmosphere but not pretentious. A chandelier in middle of the shop, dark blue velvet seats, perfectly prepared table service and the vibrant display in front of Cova. Cova’s classic coffee is a blend of seven single-origin beans and also air roasted by hand – wow! Caffee Napoli is a popular spot in all branches over central Milan. Neapolitans are known for their coffees and this place shows why. You can tell after you have their coffee. Here the coffee’s freshness and intensity are unique on its own. The idea behind the whole Caffe Napoli project started with Milan Expo to show the strong parts of Italian tradition and cuisine. As a result the owners decided to create a coffee house format to live a unique Neapolitan coffee experience and Caffe Napoli was born. Along with a good shot of espresso, try their cremino or caffe nutella. The coffee menu here will blow your mind. Crazy Cat Café is located in Stazione Centrale area and only couple of streets away from the main train station. The café is dedicated to coffee lovers but also to cats. So when you are here, you can pet some kittens and they might even sleep on your lap! They also offer very good coffee – from espresso to latte prepared with organic beans. Coffee is served in a very cute way as well – in cat shaped cups! Their mission is to create an awareness for people who wish to adopt animals and animal-wellfare in general.